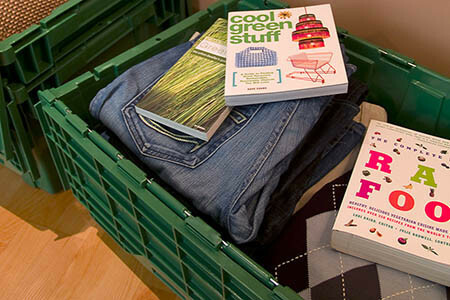 You probably found this page after doing a search for 'moving boxes San Francisco' because you're going to be moving in SF sometime in the near future. We're thrilled you found us and we're going to help make your home or office move the easiest you've ever experienced. Our rented plastic San Francisco moving boxes remove the stress, hassle, and risk that comes with packing and moving with cardboard moving boxes. 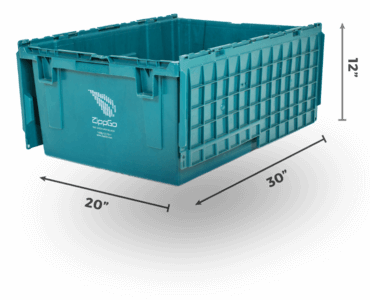 Our moving boxes are made from strong and durable 100% recycled plastic and are waterproof, crush-proof, and tear-proof so you'll never have to worry about the bottom of the box falling out on you. Your packed belongings will make it safely from your old home to your new home without a scratch. We also carry all the moving supplies you'll need for your move including bubble wrap, packing paper, dish dividers, glass dividers, wardrobe boxes, and more. 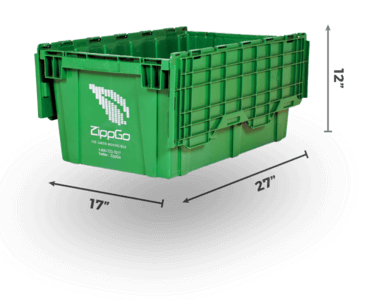 Forget about buying new or used cardboard moving boxes and get ZippGo's green moving boxes delivered to your door. Driving around the steep hills and dense traffic in the city just to find moving boxes San Francisco is so not worth it. 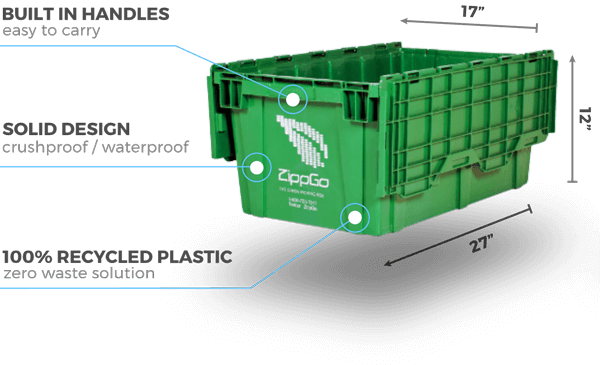 Why deal with all the hassle, when ZippGo will bring better moving boxes right to your door? We rent by the week and prices start at a ridiculously low $79 for enough plastic moving boxes to pack a studio apartment. And we don't stop there. We have all the moving supplies you'll need available to add on to your order including bubble wrap, packing paper, GreenWrap, plastic wardrobe boxes, glass dividers, dish dividers, and more. Moving is rated as one of the most stressful events in a person's life. It's way up there with stressful events like going to the dentist and public speaking! 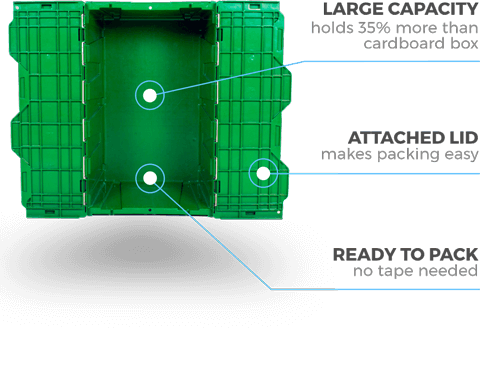 When we launched ZippGo, one of our top goals was to help reduce the stress people feel during a move by simplifying the packing process with our ready to pack and durable plastic green moving boxes. Judging from the over 175 Glowing Five Star customer reviews for ZippGo on Yelp, we've succeeded. 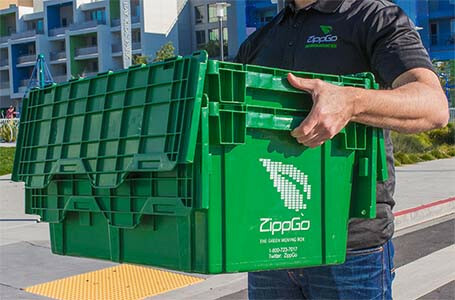 After using ZippGo moving boxes San Francisco residents tell everyone they know about ZippGo because our service and boxes really make moving simpler, faster, and cheaper. If you're embarking on a kitchen remodel with new cabinets, new countertop, and new paint, or renovating your bathrooms to feel like a spa, or simply repainting the interior of the house, ZippGo's plastic moving boxes are perfect to protect personal belongings from the dust and dirt which will inevitably be everywhere. Cardboard boxes are made with paper fibers which dust and dirt quickly bond with. Since ZippGo's boxes are made from plastic, dust and dirt can be easily wiped off without reaching your packed belongings. If your renovation will be complete within a couple of weeks or within months, ZippGo boxes can be a big help. Our box packages start at just $99 delivered and if the remodel project will take longer than a month, we offer great monthly discounted rates. 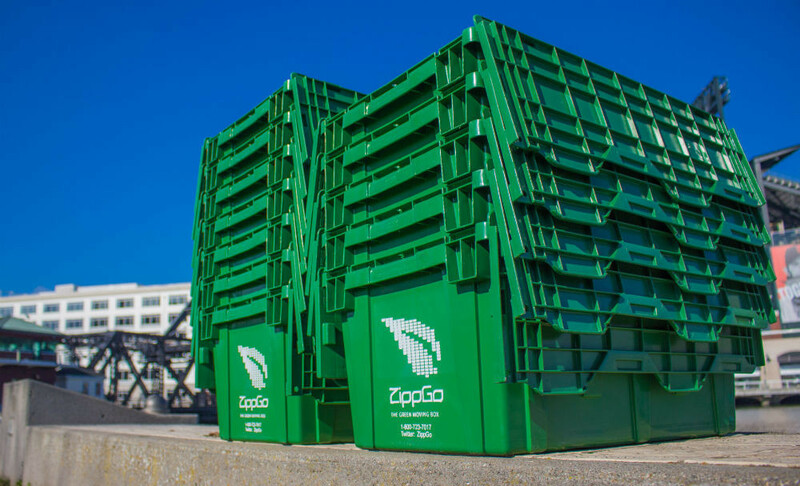 We've delivered ZippGo green moving crates to many up and coming San Francisco startups as well as to larger technology companies. Customers who are moving offices love using our office moving crates for two reasons: smart companies know time is money and they recognize renting our plastic moving boxes makes relocating employee workstations and offices so much faster and more efficient. 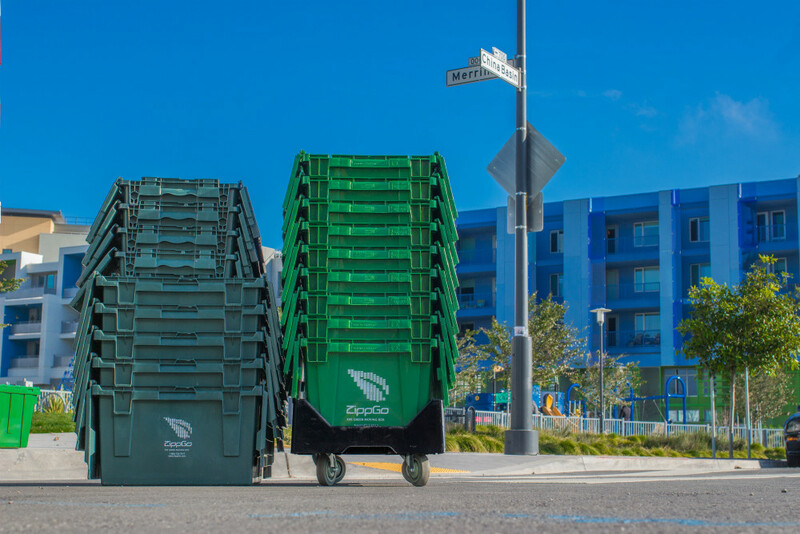 Also, in the San Francisco spirit of sustainability, local companies are conscious about being green and recognize ZippGo as the only moving box rental company with the same commitment. 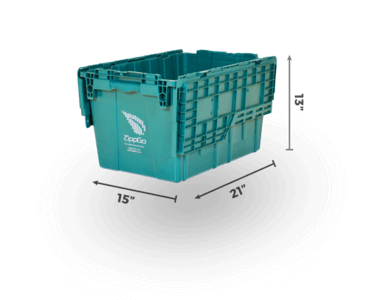 ZippGo boxes are made from 100% recycled plastic and all our moving supplies are recyclable so consider us while possibly getting points towards LEED certification. 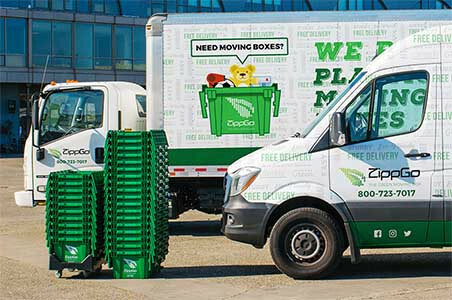 If your office is moving soon, ZippGo's moving boxes San Francisco is the best way to economically and environmentally relocate your employees. "These green boxes are incredible! They make moving feel so effortless and I really can't imagine moving again without them. My husband had his doubts when I told him about renting moving boxes instead of buying cardboard boxes, but he is a true believer now! I think he loves the boxes more than I do. Ash and Eddie were amazing to work with and they showed up exactly when they said they would and delivered with a smile. Super helpful and I wouldn't hesitate to refer them to friends. Thanks again!" "Hi Ash! I loved my zippgo experience." "Just wanted to let you know how much we loved ZippGo! It made our move so much easier. I have some friends that will be moving over the next few months and I have recommended ZippGo to them." "Loved the boxes, they were a huge hit with my movers and everyone in my new building wanted your info :)"
"I work in the real estate industry and I really thought renting these boxes was such a great idea so I will definitely advocate this for you with all my clients. It was a great great experience. Thank you." "Thanks again! So glad this service exists I always feel so guilty about cardboard boxes and before we bought them yesterday thought we'd do a quick search on yelp and there you were - great concept!" Free Next Day Delivery in San Francisco!